In these accounts we purchase securities that pay dividends about 40% of the stocks in this composite also repurchase shares and buyback stock. The general rule is to be 100% invested in the aforementioned stocks. However, manager reserves the right to allocate funds to cash and other securities as deemed appropriate. * Past performance is no guarantee of future results. 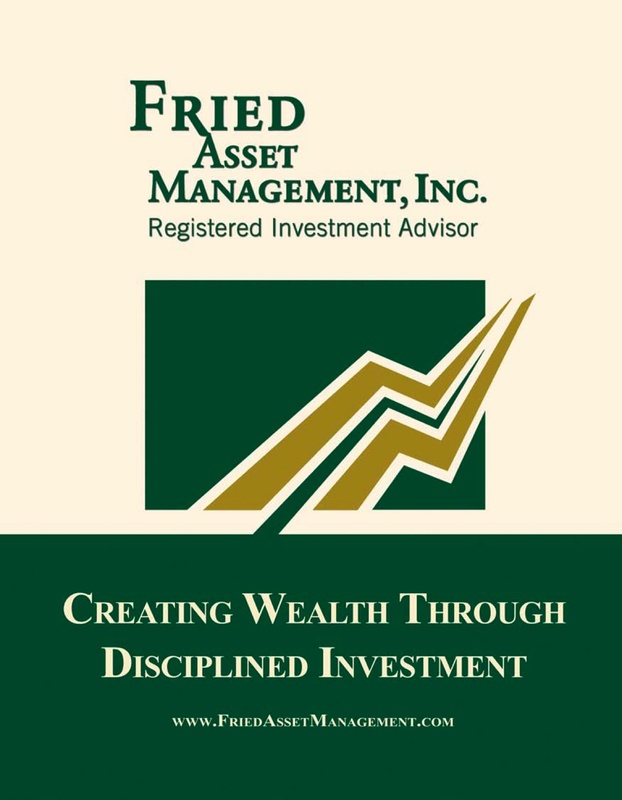 Performance figures for Fried Asset Management, Inc. are net of management fees and trading costs and reflect the reinvestment of dividends. Performance figures do not include accounts of “friends of family” or income composite. A complete verification report is available on request. Download a copy of the GIPS Verification Report-Income Composite.